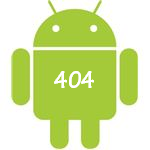 On March 31st, the Android Developer Console, which developers use to publish their apps to the Market, started experiencing issues that ranged from 404s and disappearing applications to missing statistics and apps that no longer obeyed. As more and more panicking developers chimed in with similar experiences to multiple support threads, the only response from Google so far came from an employee named Ash back on the very first day, apologizing for the inconvenience and then shortly after announcing that all issues had been fixed. The next day was April Fools' - nice prank, Google. Reports from devs all over the world kept flooding support forums, but Google was not responding anymore, even though April 1st was Friday - a workday, and this was no laughing matter (although they did fix something obviously more important). The weekend went by - you guessed it - without a single word from Google. Clearly, the company behind the 2nd largest mobile application market in the world cannot be bothered to have weekend support, time and time again leaving developers furious and helpless. Even a few words would have been enough to assure neglected devs that the wall was not impenetrable, and their voices were reaching someone who cared. Cared at least a little bit. 6) Google Checkout skipping a day in payments. One of our own, Justin Case from team AndIRC who rooted the Thunderbolt, has been trying to publish a new LTE widget for days, with no luck. Google, we know you are a big machine, and Android is a complex beast, but one of these days, some of these neglected customers who are giving up 30% of their earnings that go straight to your pocket, will leave you to go elsewhere. Perhaps, a land where 4-day downtimes are considered abnormal and unacceptable, no matter if it's a weekend or Andy Rubin's birthday getaway. Developers, are you experiencing any of the issues described above? We want to hear what you have to say.